The Central government is now confident of achieving renewable power capacity of 225 gigawatts (GW) by March 2022 after the growing positive bids in the renewable sector. NEW DELHI: Excited by rampant bids in the renewable sector, the Central government is now confident of achieving renewable power capacity of 225 gigawatts (GW) by March 2022, breaching the set target of 175 GW of renewable energy, well ahead of the deadline. “We will cross the 175 GW target well before March 2022. We have new schemes for offshore wind power, floating solar parks and hybrid parks, which will help us outstrip the current target. 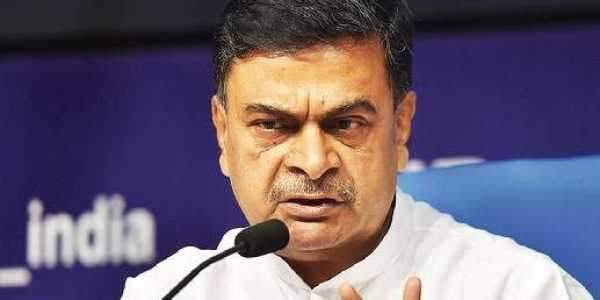 We are now aiming at 225 GW,” Power Minister RK Singh said on Tuesday. The government, however, hasn’t formally revised the 175 GW target, which was announced by Prime Minister Narendra Modi in 2015. Singh said that India’s current renewable power capacity stands at 70 GW, while projects under completion stands at 12.5 GW capacity and projects close to bid out is 25 GW. “These take us to 108 GW of renewable capacity already, and given the bidding trajectory we have for the coming two years, we will touch 225 GW,” Singh said, elaborating the four-year achievements of ruling government in the power and renewable sector. MNRE Secretary Anand Kumar said that the ministry would be completing the bidding of 175 GW by March 2020 and they will get clear two years for installation of the capacity. Even though the government has set a target of bidding 40 GW per year in the next two fiscals, Kumar expects that they would be bidding out 61 GW in FY19 and 56 GW in FY20. On the government’s ambitious mission of electrifying every household in the country under the Saubhagya scheme, Singh said they will achieve the mission by December this year against the earlier target of March 2019. “Under the Deen Dayal Upadhyay Gram Jyoti Yojana, we brought power to all 68 lakh census villages, and now with Saubhagya scheme, we will power 400 million households in these villages,” the minister said. However, Singh’s claim of electrifying every village in four years of the Modi government has attracted criticism with reports alleging that there are several villages yet to be connected to the grid. Singh also said that the government has come out with a new draft tariff policy under which load-shedding after March 2019 would invite penalties for power distributors. He said the policy, which carries several reforms in the sector, is under review by the power ministry’s own review committee. On the financial health of Discoms, the minister said more than Rs 20,000 crore interest is saved by them under the UDAY scheme, and now the government is exploring new ways of helping troubled power distributors.